To all vinous fans that missed our private VIV event – here is a recap. The event was a huge success, and planning is under way for VIV Round II! Guests spoiled their palates with four delightful finds. The Galilee (or Galil) is the most northern, and generally considered the best, appellation in Israel. The highest quality area within the appellation is the Golan Heights (or simply the Golan), the coldest region in Israel. The vineyards on this volcanic plateau rise from 400 meters (1,300 feet) above sea level to 1,200 meters (3,900 feet) and receive snowfall in the winter. 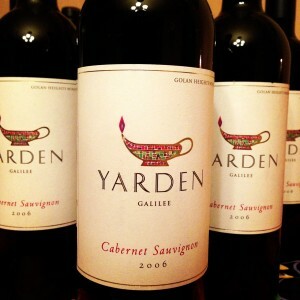 This rich, complex kosher wine is full-bodied, with characters of ripe dark red and black fruits, layered with notes of earth, spice, chocolate, pipe tobacco, hint of fresh herb, violet, plum, and spice. This wine is best paired with very flavorful foods. One good combination would be with lamb short ribs braised in red wine, beef stock and aromatic vegetables. Bouchaine is the oldest continuously operating winery in the Carneros District – a winery that began making wine long before the region earned its reputation for producing the great Pinot Noirs and Chardonnays of Carneros today. In fact, the roots of Bouchaine go back to a previous era – a glorious time for wine in the Napa Valley, long before Prohibition. It is a dark and flavorful wine with just a touch of spiciness. Yet unlike some other Syrahs out there that are overly bold, grapey, and simplistic, this wine offers flavors balanced with its structure. It is a Syrah with a Pinot producer’s touch. 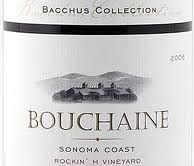 We recommend this Bouchaine Sonoma Coast Syrah with savory dishes such as grilled pork medallions, broiled ribeye steak, and flank/skirt steak beef salad dressed with chimichurri sauce. Grapes for this vintage of Papillon were sourced from Howell Mountain, Saint Helena, Rutherford, and Oakville to gain better complexity and structure. A blend of 78% Cabernet Sauvignon, 14% Merlot, 4% Cabernet Franc, 2% Malbec and 2% Petit Verdot that is aged for 16 months in French oak.. Papillon has a deep red color with a garnet hue that is almost black. The aromas are of classic Napa Valley Cabernet Sauvignon with cedar box, rose petal and hints of soft French oak. The entry is subtle ripe raspberry and boysenberry. Loads of cherry, plum and intense cassis frame long chains of soft tannins that form a long and lingering finish. Winemaker Dave Phinney, owner of Orin Swift Cellars, has come a long way since beginning his winemaking career with 2 tons of purchased Zinfandel grapes just a year out of college in 1998! 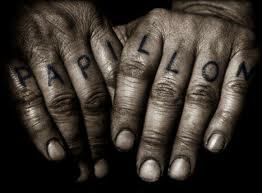 Enjoy Orin Swift Papillon with steak, lamb chops, BBQ ribs, grilled vegetables and aged cheeses. This concentrated red has notes of dark fruit, boysenberry, roasted anise and dense blackberry, mocha, espresso, wild herb and sage flavors that are wrapped in firm tannins. Classic zin aromas of crushed black pepper and licorice. Creamy-sweet and fat, but with a sweet-tart character contributing to the wine’s superb cut and purity of fruit. Finishes with solid structure and excellent length. A very successful fusion of zinfandel’s many aspects, and a terrific value.” The 2010 Old Vines shows classic Zinfandel spice with dark fruit flavors. Every year they take old, dry farmed vineyards from across Napa, Sonoma, Paso Robles, Amador County, Lodi, and Mendocino to make the Old Vines. This wine is the Juvenile’s much older, wiser, slightly brooding brother. Darker, more dense, and a rich complexity that can only come from old vine Zinfandel that’s been shown the signature Turley love. Stay tuned for our next VIV event. It’s a great way to explore the more expensive section of the wine wall. Next Next post: Holiday Food & Wine Pairing: It’s all about the GPS! Hi! I am a fellow SA Blogger stopping by from the hop! This is the first wine blog I’ve seen! Very cool! I always need help with pairings. I also would like to find a sweet red wine. I’ve heard there are lots of new sweet reds on the market. Anyways, I’m a new subscriber and I will be coming back to check out wine tasting events! We are glad you found us! We hope you enjoy the blog, and we invite you to come by the wine shop. We have a few sweet reds on the shelf that are delightful! Cheers!